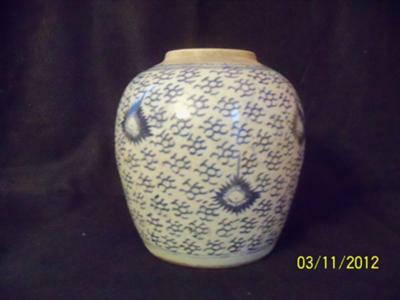 I have recently acquired this ginger jar that I believe may be from the Qing Dynasty period. 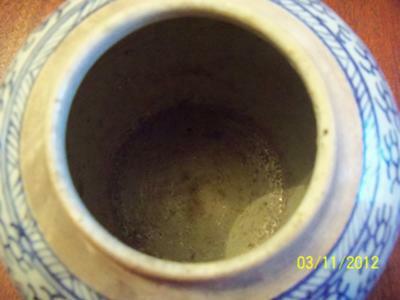 The neck of the jar is unglazed on the exterior but interior of neck and jar are glazed and is not smooth, various textures and rings. 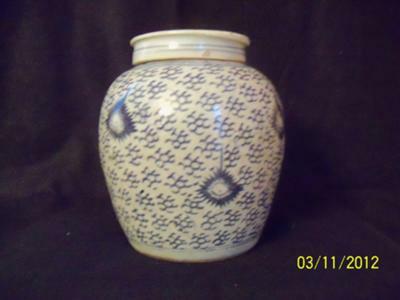 I am not certain that this is the correct lid for the jar, however it does look older as well. Thank you for taking a look and I look forward to your reply. Thank you for your response. I have to give you and you and your site credit for this choice. I wouldn't have known otherwise. I will continue to read, too interesting not too. Yes, this is a typical ginger jar of the 18th century. This type is usually attributed to the Yongzheng or Qianlong reign. 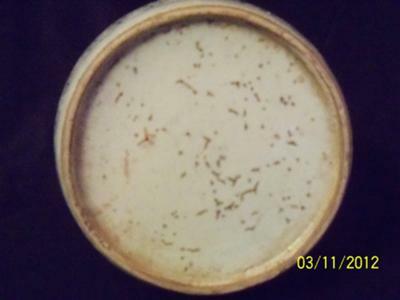 You didn't show a picture of the lid, but it is not uncommon to use a replacement lid, as lids are most easily broken.